Captain Marvel goes higher, faster and farther in this Marvel Gallery PVC Diorama! 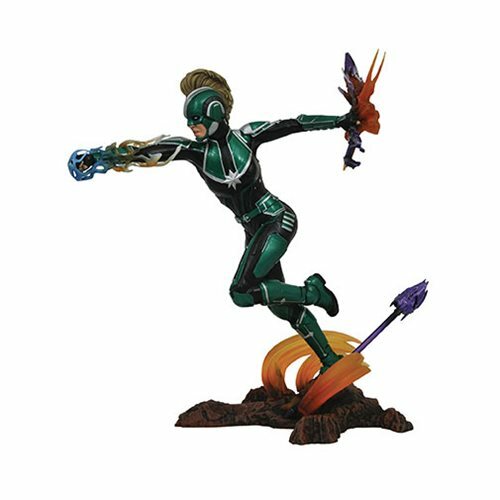 The star of the Captain Marvel movie throws a power-packed punch as she takes on the Skrulls in this approximately 9-inch tall sculpture. Featuring detailed sculpting and paint, and cast in high-quality plastic, the statue comes packaged in a full-color window box. Sculpted by Gentle Giant Studios.